Suzanne Morris' backlist books are now available in E-reader format as well as hardback and paperback editions. Click to order online. First book of Trilogy. Available in hardcover & paperback. Click to order online. Second book of Trilogy.Available in hardcover & paperback. Click to order online. Final book of Trilogy. Available in hardcover & paperback. The tragedy that struck the New London, Texas, community on March 18th, 1937, has haunted me since my first visit to Pleasant Hill Cemetery, where I noted that fateful date that marked the end of life for so many innocent victims. I wondered: What would it be like for a survivor who is forced to move away from the community she knew and loved, and where schoolmates, teachers and friends could share in their grief and support one another, as the days went by and they inevitably found a path for moving on from the tragedy? Would this forced separation lessen the unbearable pain of loss? Or, rather, would this survivor be denied her only chance to overcome her loss, and be healed? 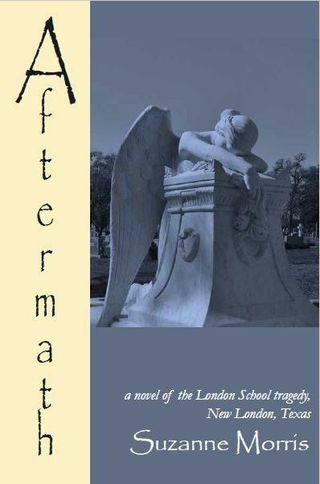 In AFTERMATH, Delys Lithingate, retired high school English teacher and poet, delves deeply into the forty years since the tragedy, to find answers--sometimes revealed in sudden flashes of insight; and other times, gained in the slow and painful process of learning to let go. When classically trained Geneva Sterling auditions with British variety dancer Tony Selby in Houston, in 1915, the magic they create is "...immediate, like the flame from the strike of a match." How can anything stand in the way of these two gifted dancers, bound for an illustrious career on the stage? Yet, each is guarding a secret from the past, and the two secrets are unraveling their future even as they first meet. Geneva dare not reveal her relationship with Victor Calais, a world-renowned photographer for whom she has modeled and whose art defies the conventions of the time. Tony is haunted by Jane Tremont, a former lover and heiress, whose act of betrayal one misbegotten afternoon on his family estate in Cornwall now holds him hostage. Tony and Geneva's dancing defies all limits; can their love defy all odds? Look Back with Longing is a deeply felt novel that gives astonishing insight into the complexities of relationships that ultimately determine people's lives. Look Back with Longing is the first book of the CLEARHARBOUR TRILOGY spanning four decades and two world wars. With the opening of Tony Selby's West End theatre and a growing family, Tony and Geneva embrace the life they have long awaited. Yet for Tony, trouble emerges when his former mother-in-law contacts him, claiming that he is in possession of some missing jewels that belong to her. Did Tony's mentally unbalanced late wife position her mother to extort money from him? In 1942 as war rages in Europe, romance blossoms between Elizabeth and Houstonian James Younger, a fighter pilot in the U.S. Air Force. James is willing to give Elizabeth everything. He asks a single favor in return. Can she give him what he wants, or is this the one sacrifice she cannot make? With the novel CLEARHARBOUR, Suzanne Morris brings to a close her Clearharbour Trilogy, set in the United States and England, which began with LOOK BACK WITH LONGING on the eve of WWI and continued with ELIZABETH'S LEGACY, following the Selby family through the end of WWII. What is Elizabeth hiding about that perilous motor trip through Dartmoor Forest that ended in her mother Jane's death? What will happen if Emelye discovers that she was not James Younger's first choice as a wife? The answers are brutal, and lead to a shattering of myths. In CLEARHARBOUR, Suzanne Morris introduces compelling characters in an intriguing story set against a vast historical background. In the concluding chapters she pulls together the multiple threads of her story for a stunning climax and deeply satisfying resolution. Click on the book title for a more complete description of the book. The Great European War and the threat of revolution in Mexico cast suspicion and distrust over the tranquil plazas of the sleepy Texas town of San Antonio, and two women find their lives and destinies entangled in romance, intrigue, and espionage. Winner of the Evelyn Oppenheimer First Novel Award (1976); Literary East Texas Project (1979). "When I saw the pages dwindling, I truly regretted knowing that the haunting story was coming to an end... I'm really impressed with the book." "The book is meticulously constructed.... The planning, arrangement and execution of form and style is never brazenly apparent. 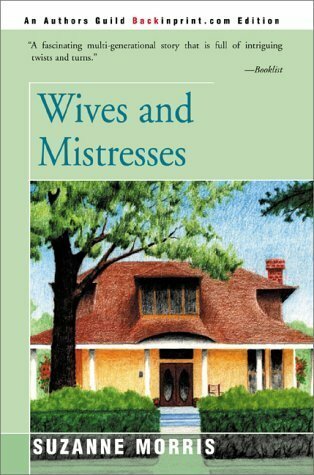 ...An excellent, believable story...of people so real you feel they're your best friends and you, somehow, are involved, very personally in their lives...."
"(Morris) captures the subtle pressures that social and professional conformity bring to bear on a troubled marital relationship...with telling authenticity." Originally launched as a six-part magazine series, commissioned by In Between Magazine and published in Galveston Texas, this work tells the history of the Brown family of Galveston, Texas. This story was later consolidated into an illustrated booklet and made available for sale in the Galveston area. It is no longer available for purchase. Book one of the CLEARHARBOUR TRILOGY. An intriguing story of love and betrayal, loss and redemption, set in the U.S. and England in the dark days of WWI, through the reckless 1920's. Sweeping from the English coast to the shores of America, this stunning conclusion to the CLEARHARBOUR TRILOGY follows the Selby family into the third generation. "The plot is both plausible and facinating. The ending is devastating and unexpected. You won't forget this story ten minutes after you put it down." "A fascinating multi-generational story that is full of intriguing twist and turns." "Poignant yet unsentimental... Engrossing plot... highly recommended."